What’s better than running a successful marketing campaign that crushes all your goals and expectations? Someone running that successful marketing campaign for you! This case study was provided by GroMo who ran a VYPER giveaway to clear out one of their e-commerce client’s old product stock. At first, that was the goal anyway. 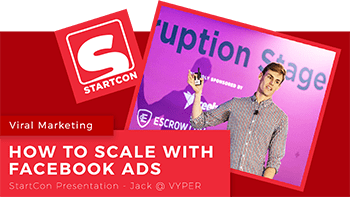 Until they realized the giveaway had much more potential than that as it drove over $8,000 in sales, 6x’ed their email list and generated thousands of social followers. Floafers is an emerging EVA foam shoe and fashion brand bridging the gap between style and versatility. They make their flagship line of EVA foam loafers for men and women – featuring appealing colors to both sexes. Floafers are seasonal shoes primed for the warmer climates of late Spring, Summer, and early Fall. They partnered with us (GroMo Agency), during their Kickstarter campaign which helped them exceed their funding goal by more than 400% and have remained their marketing partners ever since. To sell off their remaining inventory of Gen 1 Floafers, creating the desired space to accommodate their Gen 2 line of Floafers. In addition, Floafers tasked us with generating significant brand awareness by accelerating the growth of their social media followings and email subscriber list as we transition the focus of our marketing initiatives to promote their Gen 2 line, set to make their anticipated debut this summer. Build an innovative viral giveaway that would amplify our current marketing initiatives at an expedited rate. We are consistently & effectively optimizing VYPER’s platform to experience tremendous results and ROI for our clients, which led us to pitching the viral giveaway concept to the Floafers team. 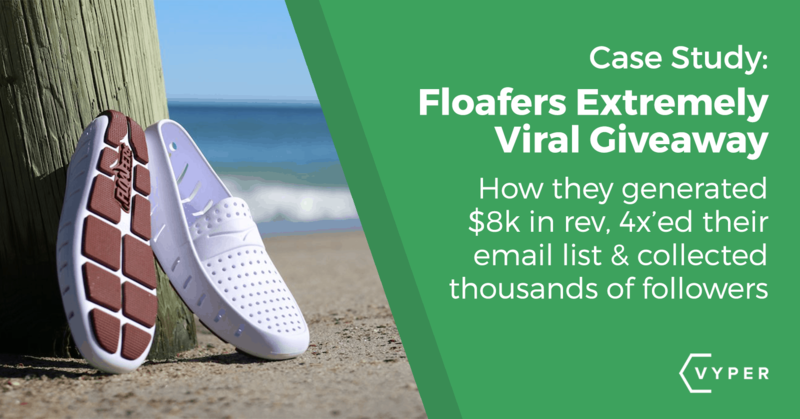 Upon presenting the viral giveaway concept and providing the Floafers team with the analytics we collected from executing viral giveaways for our other clients, to say they were ecstatic about this strategy would be an understatement. The Floafers team realized that we would be able to accomplish everything they wanted efficiently, wanting to get the ball rolling without blinking an eye. At GroMo, we create custom strategies tailored to our client’s needs. We orchestrated Floafers’ viral giveaway utilizing our proprietary Amplification Process consisting of paid media, social media, influencer marketing and email marketing. Paid Media: We created impactful social ad funnels, targeting desired audiences through Facebook, Instagram, and Twitter, which reached thousands of people. Email Marketing: We utilized our email marketing approach to gamify certain segments of our giveaway contestants. In doing so, we generated significant engagement, which amplified the virality through social media. Influencer Marketing: We reached out to thought-leaders that aligned with Floafers niche to amplify the awareness of their giveaway. This did not just increase our vitality tremendously; it kept the momentum of our giveaway at its peak throughout the campaign. GroMo was able to increase Floafers’ email list by 633% as well as generate consistent engagement and increase social followings across all platforms. A residual side effect of the giveaway was a large leap in brand awareness, which resulted in increased sales. “Professional, Ambitious, Adaptable, Diligent and Intuitive….these are just a few words that come to mind if I were to describe our experience working with GroMo. Lead by Cole Field, GroMo is a well-oiled machine that understands how to move the needle for their customers with their out of the box concepts and initiatives. GroMo has single handily grown our social media footprint and brand awareness through intelligent and attention-grabbing marketing campaigns. 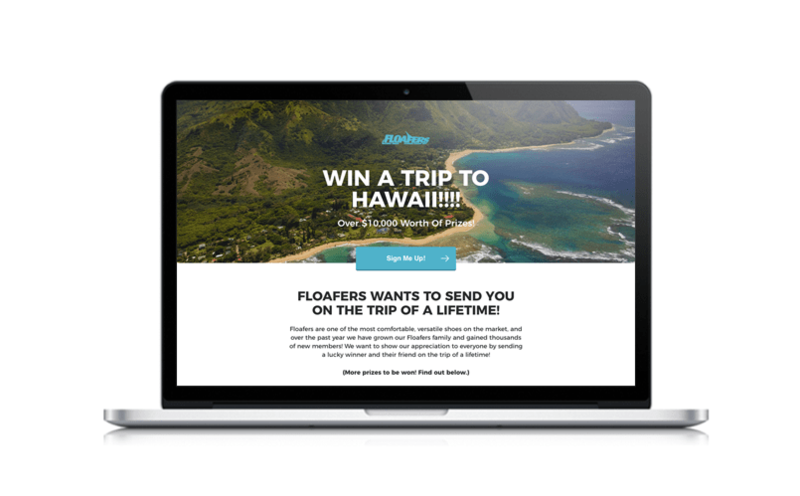 One of our most successful campaigns was based on a giveaway contest with the Grand Prize being a trip to Hawaii. This was a concept that Cole brought to my attention, which he laid out in full detail giving me everything I needed to decide if it was right for our company. The giveaway was a great success, growing brand awareness on all social platforms, quadrupling our email list, and most importantly increasing direct sales from new customers discovering our brand for the first time. Choosing a good prize that was aligned with the target marketing and large enough to get excited about. Connecting with influencers to promote the giveaway. A large part of this was crafting an email that explained to influencers that they could leverage their audience to easily climb the giveaway leaderboard and even win the grand prize. This removed the need to provide payment for posting as the trip to Hawaii was enough incentive. Email marketing funnel: automated and one-off emails to keep contestants engaged. Gamifying the contest using an audience segmentation funnel. Promoting the contest using GroMo’s proprietary paid media strategy. Using cold prospecting Facebook Ads, you need to segmented targeting with audiences, interests and engagement type. Working with micro influencers on Instagram that don’t have swipe-up capability. You need the middle tier influencers (enough reach and engagement but not overcharging). So, if you’re looking to grow your business, you can’t ignore the results of viral contests and giveaways. Time is also your most valuable asset, so if you’re short on time you can now hire an expert team to build, effectively market and scale a contest for you. Not only does this strategy have a direct ROI for driving sales but it also sets, brands up for long-term growth by building communication channels. Building your email list, social accounts, and brand awareness are all ways to set your company up for long-term growth and success. Get in touch with GroMo here if you’re interested in taking your marketing to the next level!